Hero of a Highland Wolf–4 Stars! RT Magazine & Goodreads Giveaway! This is one of my favorite covers! But here’s for the great news!! It’s coming on August 7, and we have a ton of things going on. 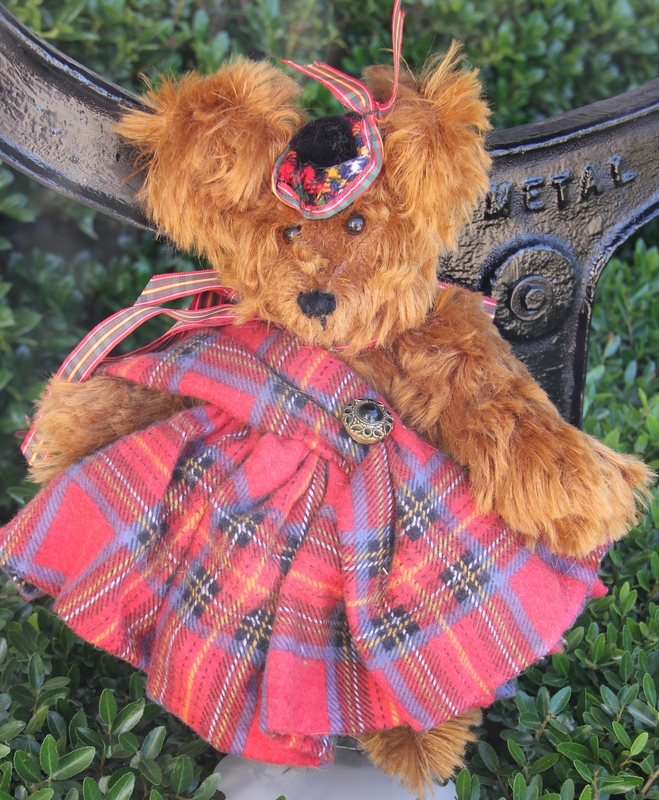 I’ve been told that we’ll have kilted Highlanders to show off on Facebook, prizes, I’ll be giving away one of my Highland bears that I make, all 4 of my Highland books to one Rafflecopter blog tour blitz winner, a Facebook party, we’ve got a Goodreads giveaway going on now…and more! This is a red mohair bear, suede paws, one of a kind. Only made one small one like this. 🙂 I will give this away at the FB party. $55 bear! ← Night Owl Romance Review of Cougar’s Mate!